"Wandjina", Lily Karadada. Kununurra, Western Australia. Image courtesy of Lily Karadada and Booker-Lowe Gallery, Houston, TX. A sincere thank you to the 2016 Event Sponsors, for making this event truly memorable! ​Click here to purchase tables and tickets to the 2016 Afternoon Tea! For more information on Tables, Tickets, or Sponsorships, contact Development & Exhibitions Director Laura Baker at laura@pearlmfa.org or 281.547.8038. Recently-retired Superintendent of Klein I.S.D. Following 35 years in the Klein ISD and 47 years in public education, Dr. Jim Cain retired from the position of Klein ISD Superintendent in June of 2016. Dr. Cain began his career in Klein ISD in 1978 as the Benfer Elementary assistant principal. Dr. Cain was given the reigns as Klein ISD superintendent in July of 2004 and led the district to many great academic successes. Graduation rates increased and dropout rates reduced. Students continue to perform above the state and region in standardized tests and on college entrance exams. The district’s fine arts departments have thrived under Dr. Cain’s leadership, and the district has moved to a nationally recognized culture of 21st century digital learning. Dr. Cain has served on the Pearl Fincher Museum of Fine Arts Board of Directors since 2014, and recently stepped up to the position of Executive Committee member. Dr. Cain truly embodies the philosophy of leading by example. The Pearl is proud to honor this extraordinary individual who has brought an unparalleled experience and positivity to the Board of the Pearl. ​Click here to honor Dr. Cain by contributing to the 2016 Afternoon Tea! on "Singing Colours: The Artwork of the World's Oldest Culture"
We are honored to welcome this year's guest speaker, Nana Booker AM. In 2002, Nana Booker, and her husband, M. David Lowe, opened Booker-Lowe Gallery to showcase Aboriginal and contemporary fine art of Australia. 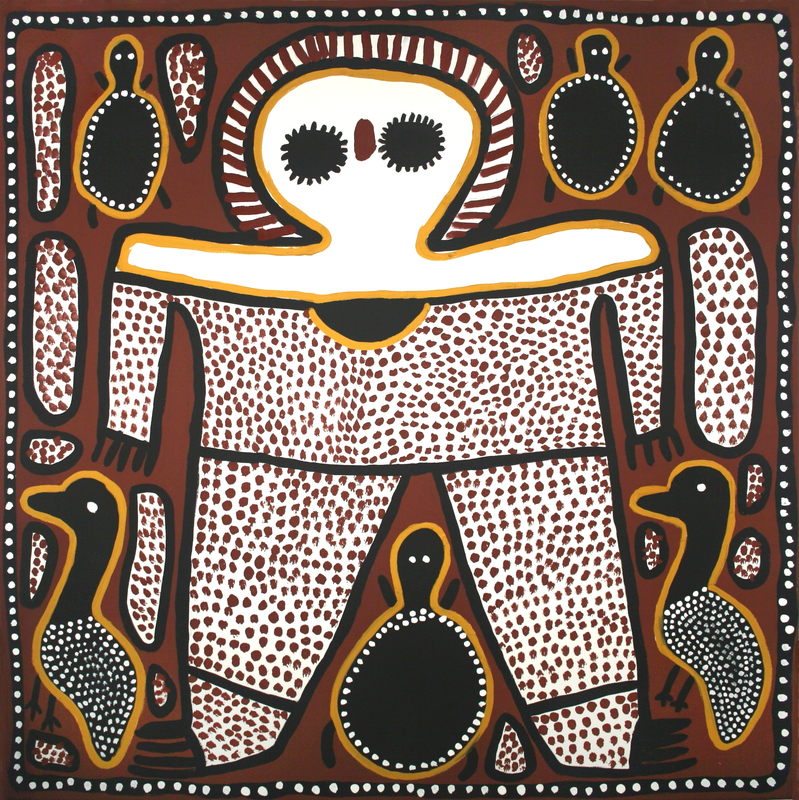 The gallery has hosted more than fifty exhibitions of Australian art, and maintains the largest inventory of Aboriginal paintings in the Americas. Booker and Lowe have made numerous trips to remote Aboriginal communities in Australia, meeting with artists, and have showcased Aboriginal art at the Australian Embassy in Washington, D.C., as backdrops for Houston Ballet, and in schools and public venues. The gallery was the first outside Australia approved for membership in the Aboriginal Art Association of Australia, the professional association for Aboriginal art dealers, and the first non-Australian signatory to the Code of Ethics for Aboriginal art gallerists and dealers. In 1999, prior to opening Booker-Lowe, Nana Booker was appointed by the Australian government as Honorary Consul for the State of Texas. After the establishment of the Australian Consulate-General, a full-service diplomatic office, in Houston in 2015, she was named Australia’s first and only Honorary Consul Emeritus. Before opening the gallery, Nana had a lengthy career in public relations and marketing, and headed protocol and international relations for the City of Houston. She holds an MBA from Pepperdine University, an MA in Theatre/English from the University of Florida, and a BA in Communications from Baylor University. She serves on advisory boards for the Museum of Fine Arts/Houston’s Glassell School, and the Archaeology Institute of America/Houston. In 2005, she was appointed an Honorary Member in the General Division of the Order of Australia. She has received numerous awards for her public relations work including being named Outstanding Public Relations Practitioner of Texas by the Texas Public Relations Association. A sincere thank you to our 2016 Afternoon Tea Committee! Click Here to purchase your table or tickets to the 2016 Afternoon Tea. For sponsorship and volunteer opportunities, please contact Development & Exhibitions Director Laura Baker at laura@pearlmfa.org or 281.547.8038.